The following is a list of events, including community outreach, exhibits and sales, that the guild sponsored and participated in during the 2016-2017 guild year. Several of the artists and weavers of the Triangle Weavers Guild have been invited to display their work to celebrate the 25th anniversary of the Friday Center in Chapel Hill. Try to find time to go by and see the artwork that is displayed on the walls and the work of our own guild members that is displayed in the free-standing cases around the foyer and in the dining room. 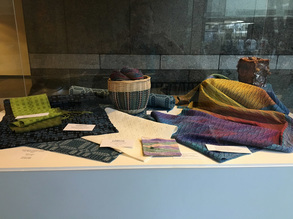 The TWG artists include Rose Warner, Ruth Ann Ross, Leslie Killeen, Karen Fisher, Pattie Lamb, Jean Johnson, Pat Stewart, Debbie Suchoff, and Phyllis Stevens. This event will hopefully be the first of many Children’s Weaving events. We will host up to ten children who expressed interest in weaving during one of TW’s many demonstrations at area craft events. The group will be led by five members of TW- a great ratio of weavers to learners! 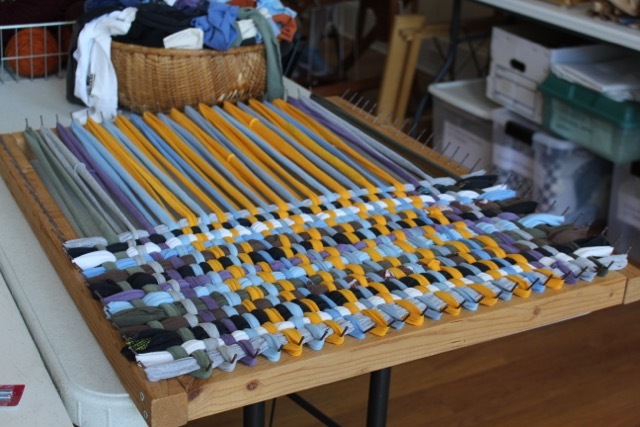 We will have four floor looms, four back strap looms, and a large frame loom ready to go when the children arrive. 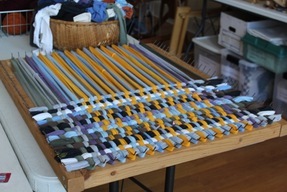 Each child will have a chance to weave on a floor loom and take home their pieces. 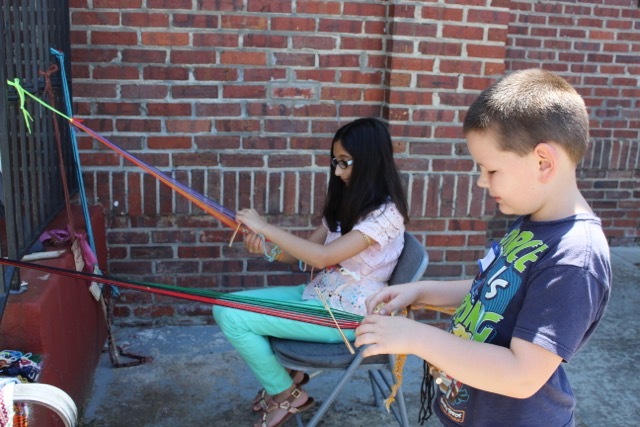 Guild volunteers will show ten campers how to weave on a floor loom, a bracelet loom and a Weave-it. 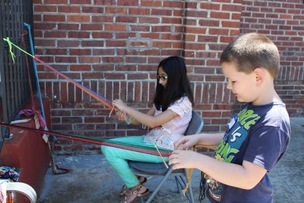 Each child will have a chance to weave on a floor loom and take home their pieces. Join us on Saturday, November 5, 2015 as we have an open house at our Fiber Arts Center. Between 10 am and noon, guild members will enjoy our annual Market and Weaver to Weaver Sale. There will be many items for sale including handwoven and handmade items, luscious yarns and fibers, weaving equipment, books and much much more. After lunch the fun continues when we open our door to the public. The Market and Handwoven Sale continues, and the Community Weave-In will begin. 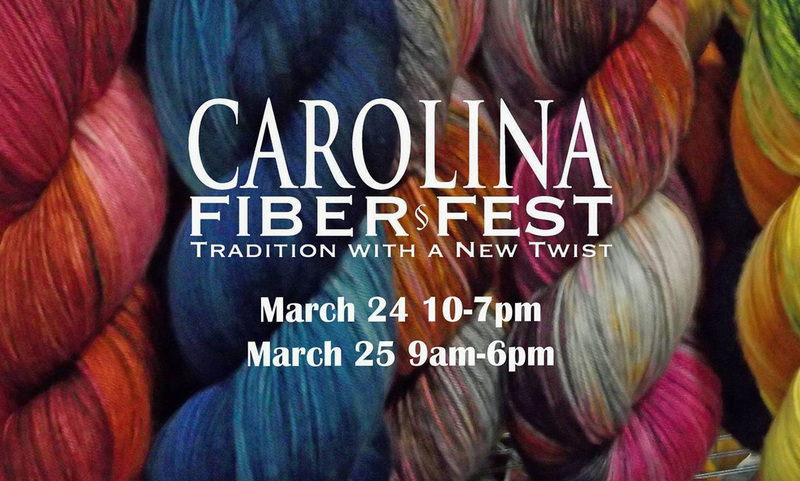 There will be spinning wheel demos, several types of weaving looms set up for children and adults of all ages to try their hands at. Come join the fun! ELF is an imaginative holiday arts and crafts festival in Carrboro, North Carolina. This is the tenth annual Craft fair at the ArtsCenter. 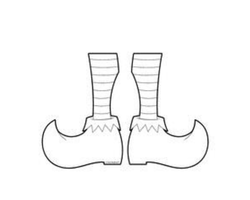 ELF will be held in the Earl Wynn Gallery and the West End Theatre of the Artscenter. ELF wants to welcome and encourage the public to purchase holiday gifts directly from local artisans in an approachable and festive setting. 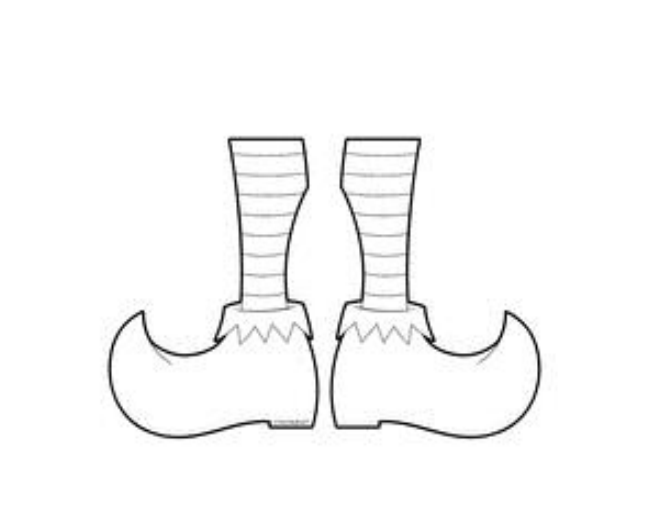 The Triangle Weavers Guild has been asked to participate. 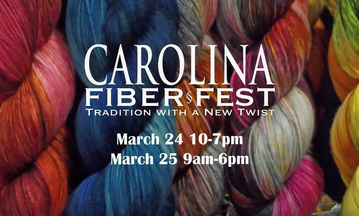 We will be demonstrating weaving to the public as well as having an opportunity to sell our weaving. If you are interested in helping out with this wonderful event, please email Janice Kohl.